They had a very cute Beauty and the Beast theme for their wedding and the cake was surrounded by various props and items of cuteness. 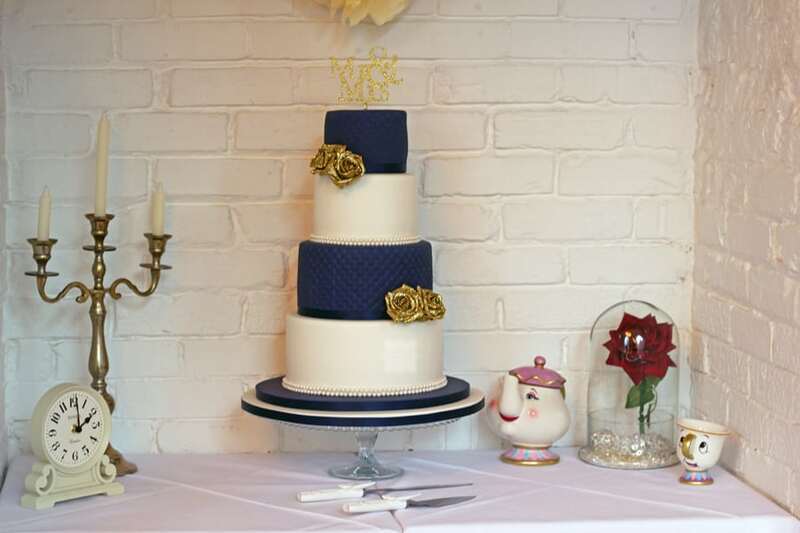 The wedding cake I made for them had alternate navy blue and white tiers with the navy tiers having a mini quilted design. I finished the cake with gold glittery roses which matched their “Mr & Mrs” cake topper. Yummy flavours of Cherry Bakewell, Lemon Limoncello and Strawberry & Champagne. Hope you had the most amazing day! Have a long and happy life together..